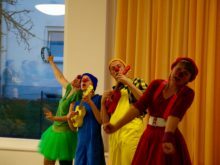 In December 2015, Clowns Without Borders Germany toured in refugees’ homes. They performed 5 shows for 430 people. 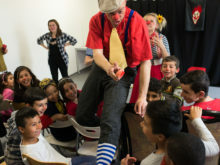 In May 2014, Clowns Without Borders Germany toured the German refugee camps, to brighten the daily lives of children, adults, and staff in refugee camps. 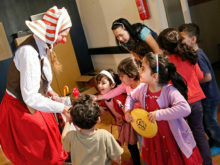 They performed 9 shows for around 7100 people.